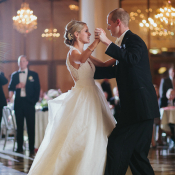 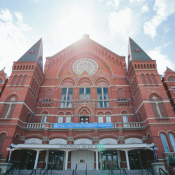 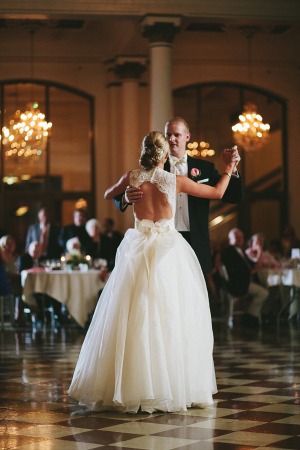 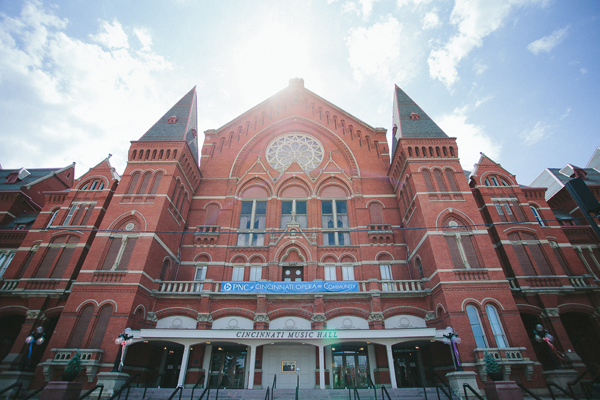 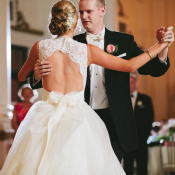 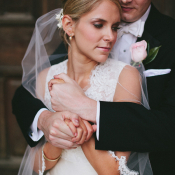 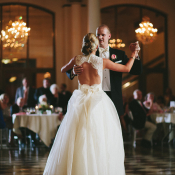 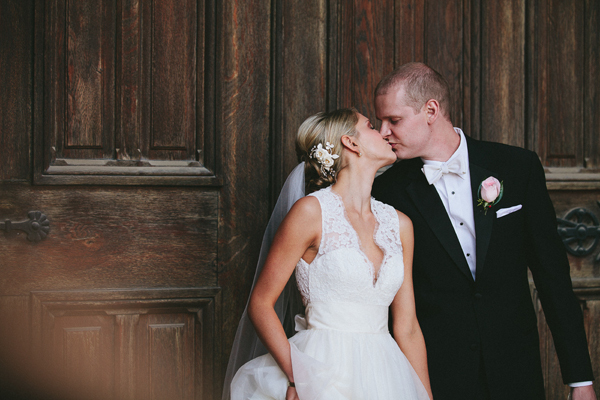 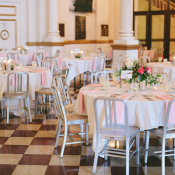 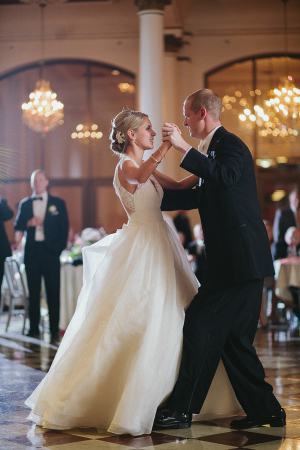 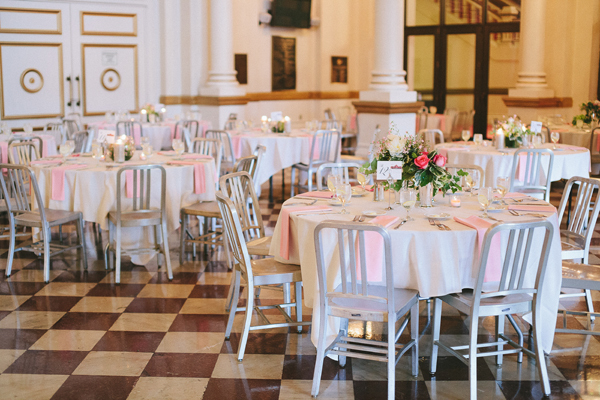 The Cincinnati Music Hall is such a classic, elegant venue for a wedding, which is exactly what Katie and Jared were thinking when they selected it for their own day. 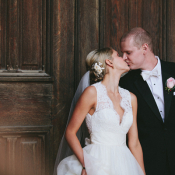 Words flat-out fail us when trying to describe Katie’s Jim Hjelm gown, with its fairy-tale tulle skirt and totally amazing lace cutout back. 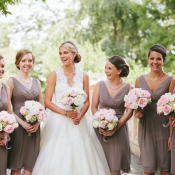 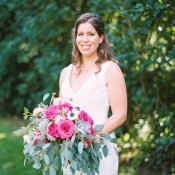 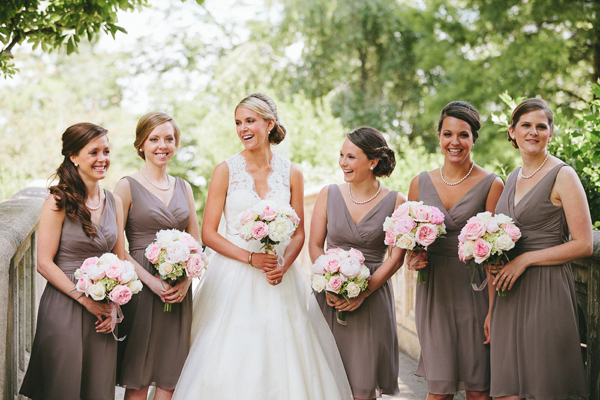 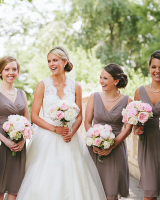 Short taupe Watters bridesmaids dresses complete the look, brightened with the pink and cream bouquets by “the best florist in town,” says Katie, Skip Dorl of Kreutzer & Dorl Florists. 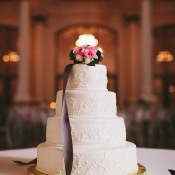 The color palette was even carried over to the dessert by Lisa’s Cakes, a pretty buttercream confection topped with pink flowers and gray ribbon streamers. 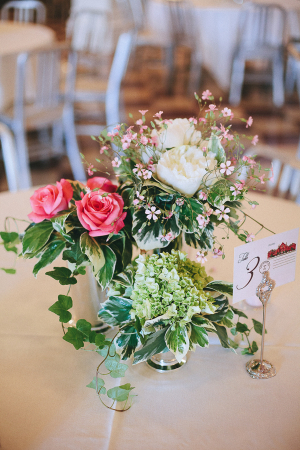 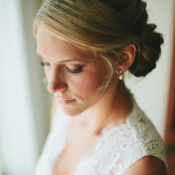 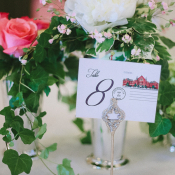 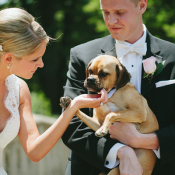 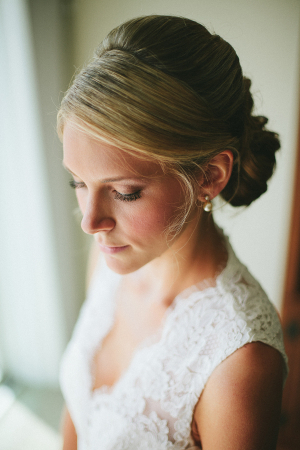 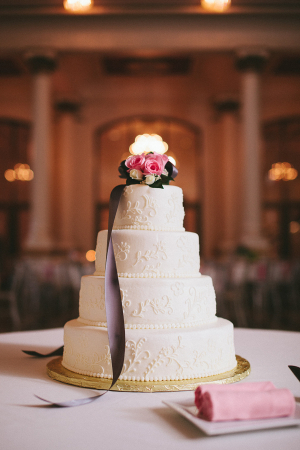 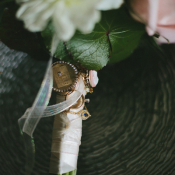 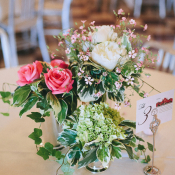 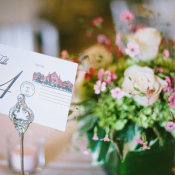 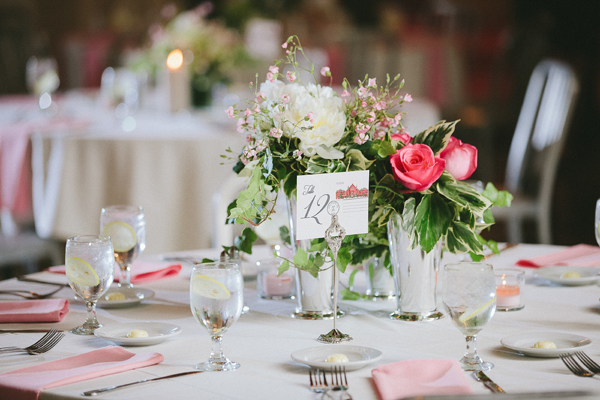 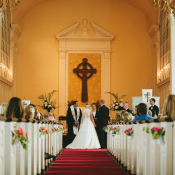 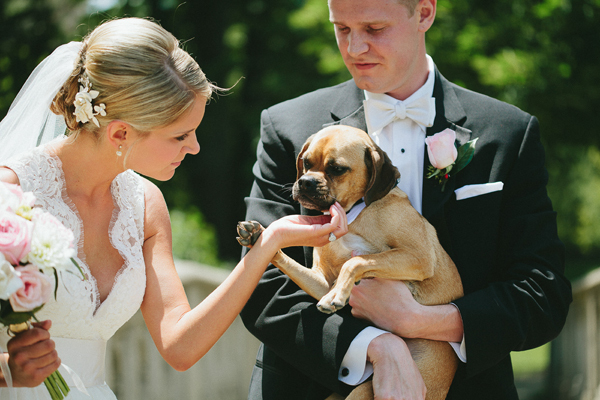 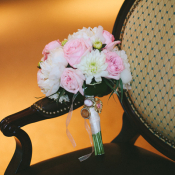 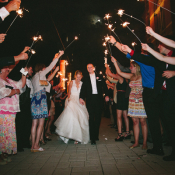 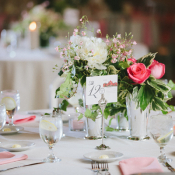 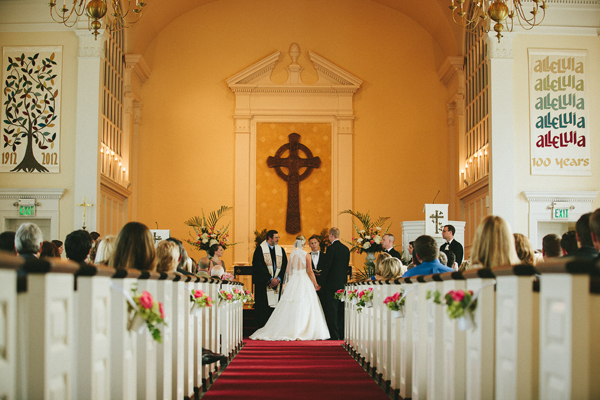 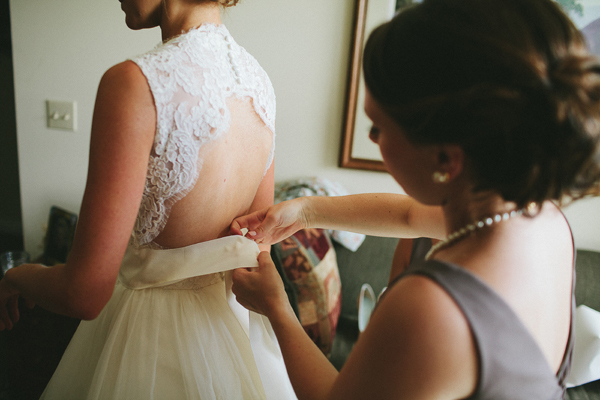 We adore this lovely day photographed by BRAUN Photography!